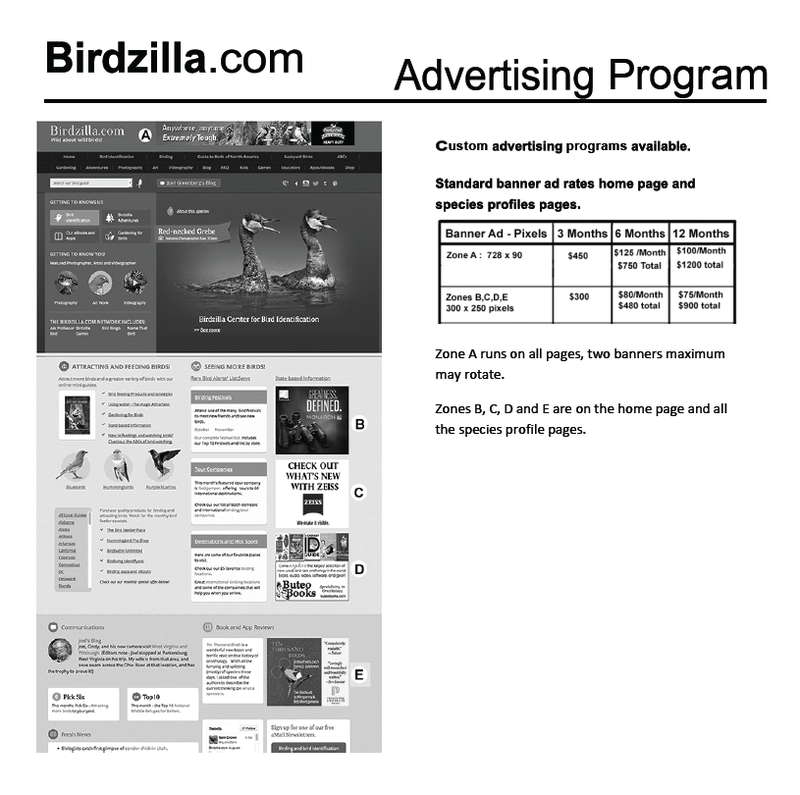 The Birdzilla.com network of wild bird related web sites is one of the largest online resources for those interested in wild birds. 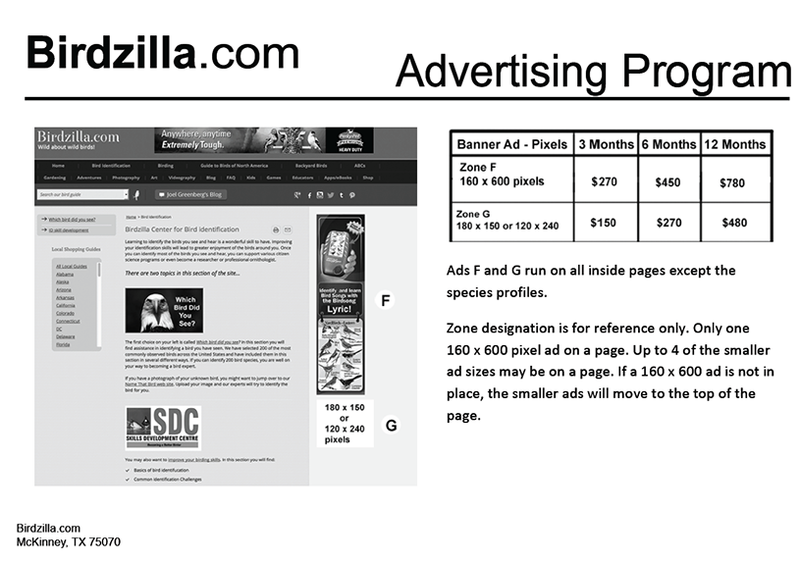 The diversity of information provides advertisers the ability to reach a very specific audience, or to meet their promotional needs by reaching a large network of viewers. We can provide you with one of our standard advertising packages or develop a custom program specifically tailored to your needs. Download the PDF version of the full media information and rate sheet. We also provide joint advertising programs with Howard Garrett, AKA the Dirt Doctor. Howard is an organic gardening expert. His radio show reaches over 500,000 listeners each month. Howard has 16 books in print and over 2 million people visit his web site each year. Click here to download his media guide.